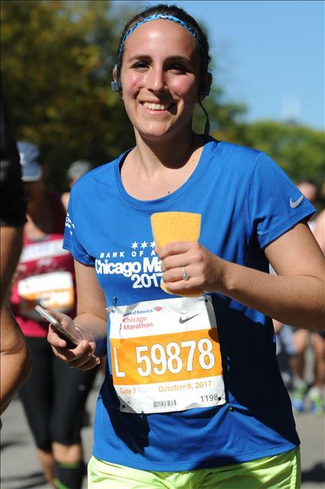 When completing a marathon, it is important to have a plan for the days leading up to the race, and the days immediately following. 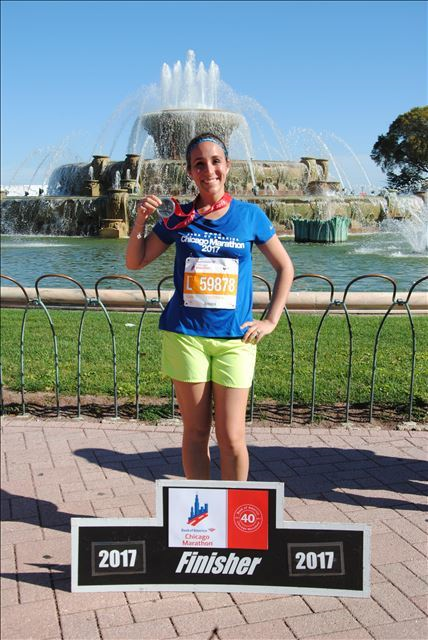 I just completed my second marathon on October 8 in Chicago. Going into the week of the marathon, I planned out my schedule keeping in mind my overall mileage for the week, the importance of rest, after care techniques, and the importance of movement. As you are training for a marathon, you will periodically increase your overall mileage for each week. It is important to know how many miles your body is able to tolerate running in 7 days, and stick to that amount the week of the race. I usually run at most 35 miles or less each week, so during the days leading up the race, I make sure to not run more than 6 miles. After the marathon is complete, 6 miles plus the 26.2 miles run during the race, add up to being below my 35 miles a week limit. By staying under your mileage limit for the week, theoretically, your muscles will not be over fatigued by adding excessive mileage to them. Once you have decided how many miles to run during the week before the race, you will need to make a plan for when you will run. It is important to also consider when you will rest. I typically like to leave at least a day’s rest in between runs when I’m training; so, I don’t usually run the day before the race. Everyone’s body is different, so running a short distance the day before the race may be a warm up, but if you are suffering from any soreness or pain from training, I suggest giving yourself at least a day or two of rest before the race day. After the race is over, taking care of yourself is essential. I like to soak in a warm epsom salt bath for 5-10 minutes to relax muscle tension. While I am still warm from the bath, I will stretch my quadriceps, hamstrings, hip flexors, calves, IT Bands, glutes, and my low back, holding each stretch 30-90 seconds. I then foam roll each muscle group for 3-5 mins. I may also use a ball (ie tennis ball, softball, trigger point release ball) to release any of the above regions if I feel foam rolling and stretching did not give me the release I need. The day following the race will have a large influence on your recovery. If you are not injured from the race, I recommend to move as much as tolerable. I usually try to run about 3 miles either the day after, or two days after the race to start moving my joints again, and pump lactic acid out of my muscles. If you cannot tolerate running after the marathon, walking long distances and/or using stairs instead of avoiding them is beneficial for your return to normal activity. Running a marathon is a huge undertaking that only 0.5% of the population completes. Remember to take care of yourself before and after the race so you can join and remain in this elite group. Also, if you do get injured during training or the race, make sure to visit a physical therapist to diagnose and treat your injury in order to get you back into training or ready for the next year’s race.